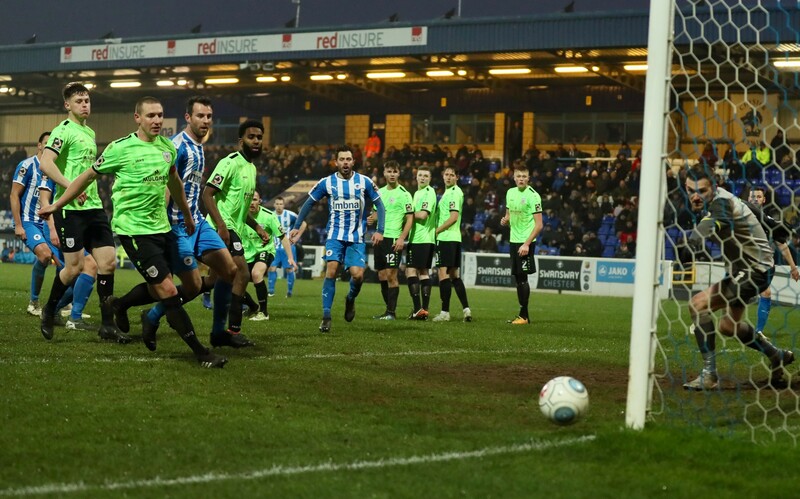 Chester were defeated for only the second time at the Swansway this season, as visitors Curzon Ashton recorded their fourth consecutive victory with a 1-0 triumph. In a game dominated by the hosts it was The Nash’s top-scorer Oliver Crankshaw who tapped home the only goal of the game on 76 minutes, from a well-executed counter attack. Ben McKenna signed for the Blues yesterday and was thrown straight into the mix for his debut, whilst academy prospect Lloyd Marsh-Hughes made his first senior start, the two replacing Deane Smalley and the injured Anthony Dudley. The Seals produced a great chance in the opening few moments, as Marsh-Hughes battled well to deliver a cross at the right-side of the byline for the overlapping Simon Grand, but his first-time chance was dragged wide. Dan Mooney then rifled an effort from 30-yards with five minutes played, but Nash ‘keeper Cameron Mason tipped his speculative shot onto the bar. The Blues dominated the first ten minutes, concluding with a McKenna effort inches over the visiting number one’s crossbar from the edge of the box. A misplaced pass from Steve Howson gave Curzon’s Lewis Wall a good opportunity to curl beyond Grant Shenton. The forward took his opportunity early and the Chester stopper acrobatically caught his effort. The Blues responded at the other end, Grand’s header kept out by the resilient Mason. Jonathan Hunt and Mohamud Ali joined Chris Rowney in the referee’s notebook after just half an hour. McKenna’s free-kick from the very edge of the box only struck the wall and fizzled into the arms of the ‘keeper. Curzon Ashton produced their best chance of the half just before the interval, Chester gave the ball away and the visitors began one of many counter-attacking opportunities. Lewis Reilly eventually found himself in behind and aimed his low shot towards the far corner but Shenton stretched out an arm and excellently pushed the ball past the post. The hosts’ ninth and tenth corners of the game created two excellent goal scoring opportunities, first Ali nearly headed into his own net before Grand’s header was powerful but headed off the line to deny the Blues the lead. Marsh-Hughes crossed low for Craig Mahon but the Irishman was too early to the youngster’s delivery, before Gary Roberts’ tame shot from the edge of the box rolled gratefully into the arms of Mason. Bradley Jackson drove forward and lashed just over from distance moments after. 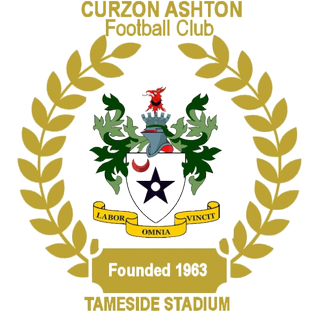 But completely against the run of play, Curzon Ashton took the lead with a quarter of an hour to go. A four-on-two counter attack gave John McAtee enough space to square for top scorer Crankshaw who tapped into an empty net with Shenton stranded. George Green, the substitute, provided a great opportunity from a close-range free-kick – his effort was low but across Mason’s goal, narrowly wide of the far post. Another late free-kick for the Blues came to no avail and The Nash secured their fourth consecutive win in the league. A hugely disappointing day at the office, as Chester make their first ever trip to fellow play-off contenders Spennymoor Town next weekend in an attempt to bounce back. 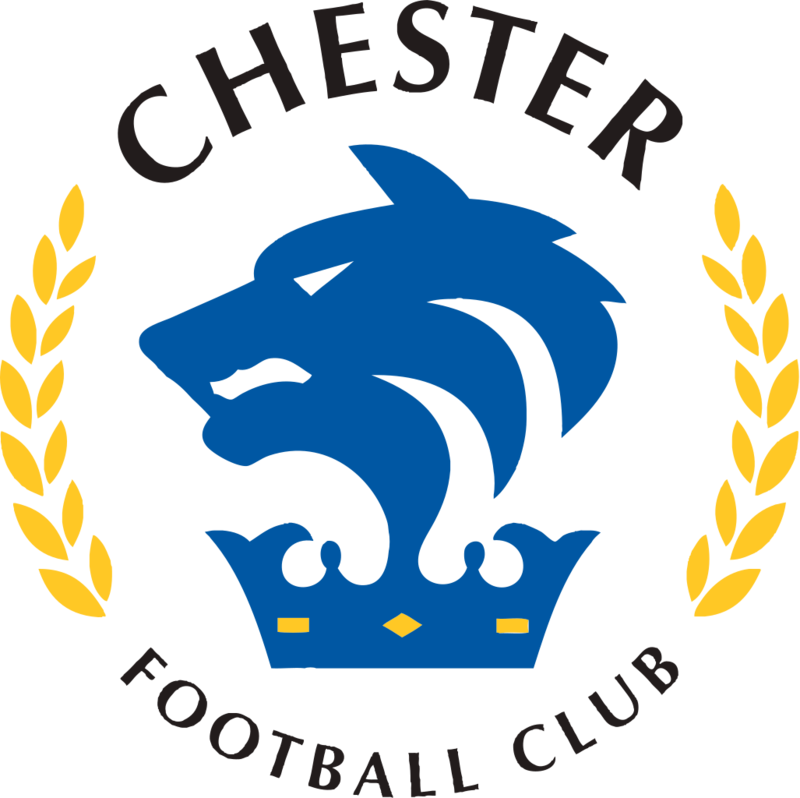 CHESTER: Shenton, Jackson, Grand, Roberts, Livesey, Howson (Smalley 79), Mooney (Waters 74), McAllister, Marsh-Hughes, McKenna (Green 64), Mahon. SUBS NOT USED: Thompson, Burton.